A Duncan Culley second half brace overturned a half time deficit to maintain Hayes and Yeading United’s recent good form against Barton Rovers at a freezing Sharpenhoe Road. 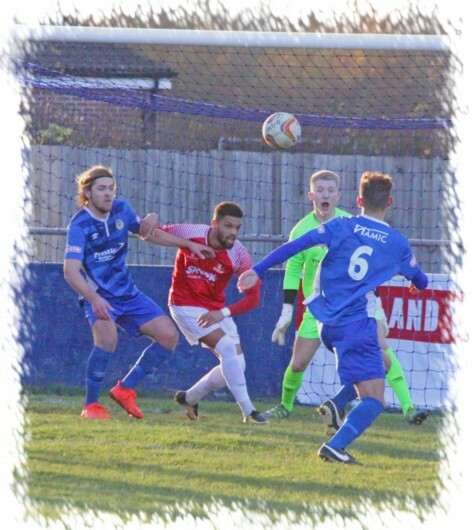 The home side had the first effort on target, in the 7th minute when Dan Jarus latched onto a long ball and tested Jack Smith from 20 yards, the United keeper diving low to his right to push the ball away. It wasn’t until the 16th minute that Hayes and Yeading went close as Toby Little’s corner took a funny bounce in the six yard box and just cleared the far post. From Scott Donnelly’s corner soon afterwards, the ball was half cleared and Darnell Shakes’ 25 yard rebound was tipped over by Charlie Jones. 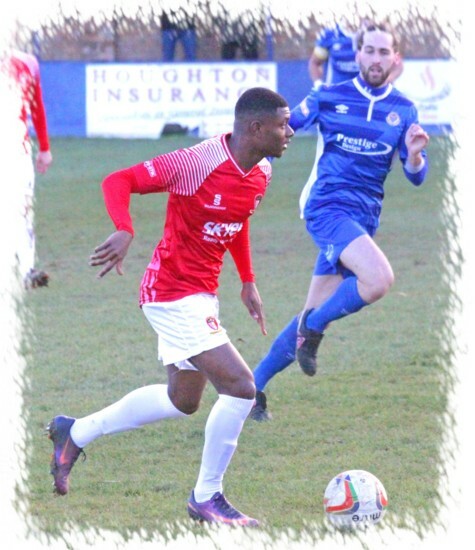 United began to take charge and had the closest attempt yet when Duncan Culley seized upon a loose header and his shot deflected onto the post off Jones. He then combined well with Little, whose shot was blocked and Culley was wide with a snapshot on the rebound. Then Shakes’ lofted throughball was met by Donnelly on the volley and he fired a difficult chance over. Despite all of these chance for United, it was Rovers who opened the scoring on 36 minutes when the United defence were slow to pick up markers at a throw in and the ball was worked to Andrew Phillips who curled it into the top corner. At the start of the second half, United got a deserved equaliser. After Culley’s header from Donnelly’s corner was deflected just wide, the resulting corner found Priestly Farquharson and his header across goal was touched in by Culley. There was quite a lull in the goalmouth action until the 70th minute when Little crossed and Duku headed straight at Jones from point blank range. The same player also went close after good work from Donnelly and Culley, curling just wide. He then chested the ball over at the back post from a corner. However, it was Culley who lit up the second half with a weaving run towards the left channel before cutting back inside and tucking the ball into the far corner and this moment of magic proved to be the eventual winner.